Soundproofing a fence is not really as difficult as it may seem. 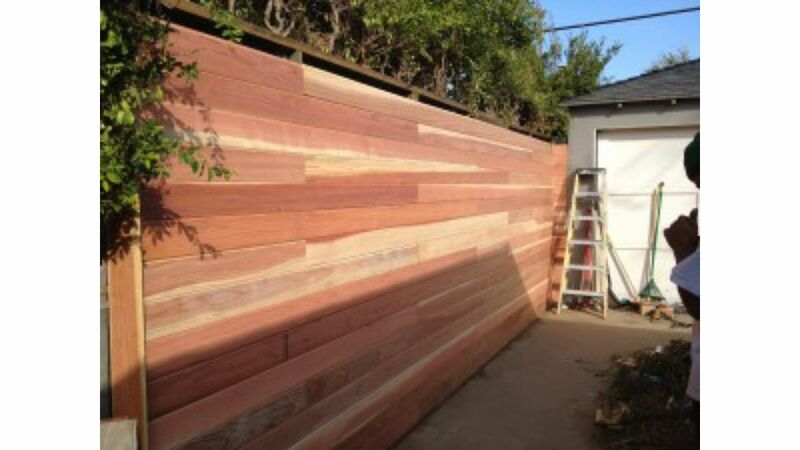 In this article we will be talking about soundproofing a wooden fence, Generally a cedar or redwood type fence are the most common fences that we will be dealing with. Now if you are starting from scratch and will be constructing a completely new fence, the first order of business would be to sink your 4″ X 4″ posts into concrete footers. In order to get the best soundproofing from your fence it is recommended that the fence be at least 8′ high or 8′ above the noise source. Now check to see if the road in question is above grade from your property below grade. If the road is below grade this will help to make the soundproofing more effective and you might be able to get away with building only a 6′ high fence. Keep in mind however, that no matter where the road is located you will get the best soundproofing results from a fence that is 8′ higher than the noise source. Once the posts are installed into their concrete footers you will then nail in the fence cross members, These cross members are usually 2″ X4”s that are 6′ to 8′ long. On a regular wooden fence these is a cross member at the top of the fence structure and one near the bottom, We suggest that you add an additional cross member in the middle to support the soundproofing material. Now that the fence structure is complete and the cross members are installed, it is time to install the soundproofing material. For our fence we will be installing a soundproofing agent called Mass Loaded Vinyl or (MLV for short) MLV is a high grade vinyl material that is impregnated with barium salts and silica (sand) This gives the MLV the same consistency as lead sheeting yest is contains no lead or any of the hazards associated with raw lead. The American Mass Loaded Vinyl Barrier Rolls are 1/8″ thick and weighs 1lb per sq ft or 1/4″ thick and weighs 2lb per sq ft. 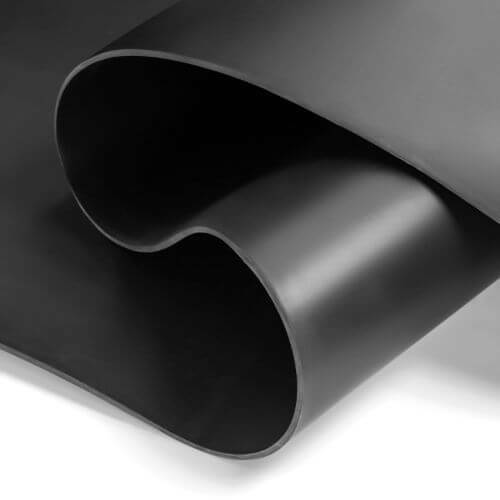 The vinyl comes on rolls that are generally 4′ wide X 25′ long or 4.5′ wide x 30′ long. You will need an air drive stapler or nail gun to install the mass loaded vinyl to the fence structure. we will start with the bottom half of the fence and install that first. The mass loaded vinyl will be stapled or nailed to the fence using a plastic cap stapler or a nail gun that shoots the roofing nails with the large plastic heads. The first step is to un roll the mass loaded vinyl across the bottom of the fence. You want the mass loaded vinyl to touch the earth or the be flush to the ground. You will then staple the mass loaded vinyl to the fence structure. You do not want to put staple or nail holes into the membrane where there is no fence structure behind it. Once the bottom ribbon of mass loaded vinyl is attached it is time to staple up the top ribbon. You will need at least 1 other person to help you lift the vinyl to staple it to the top half of the fence. It is recommended that you over lap the top half over the bottom half of the membrane by at least 1 inch. Once the membrane is installed over the entire fence, you will then caulk the over lapped are with an acoustical caulk. This will help to maintain the integrity of the soundproof membrane at the seam. It is also recommended that you caulk the perimeter of the Mass Loaded Vinyl material and then tape with a weather resistant tape. Once the entire mass loaded vinyl membrane is sealed with the acoustical caulk it is time to install the vertical dog eared slats. Basically you will nail the slats directly through the MLV and into the cross members. You do not want to put holes in the center of the membrane. Now the American Mass Loaded Vinyl is a weatherproof material, but is highly recommended that you put slats on both sides of the fence structure. This way you will protect the Mass Loaded Vinyl barrier from the elements and you will also create a true septum fence. Thank you for reading this article and let me know if I can be of further assistance to you in your soundproofing fence endeavors.